It didn't take numerous lines for Nora Aunor to win more than 10 international film festival citations and 12 local awards as Best Actress for "Thy Womb". Amidst the very scenic backgrounds, Nora's eyes blended with Tawi-Tawi's sea and sky for an excellent portrayal. Well, Ate Guy is not really that calm. She scored her biggest blockbuster along with a throng of acting trophies with huge tears and several yelling scenes in The Flor Contemplacion Story. For her Cinemalaya entry "Hustisya" where she played an employee of a human trafficking agency, she showed us an interesting mix of both acting styles. In one scene, she was resisting police officers from arresting her. In another sequence, she was just quietly walking on an ugly street under bright full moon. After a moment, she held a gun and threw a dramatic gasp. And as you probably saw on the trailer, among the movie's highlights is that cinematic laugh. I am not gonna say that it will be an easy task to stick to the film entirely. You'll dread some scenes. There are instances that you wish a fast forward button is available. There are moments that you are pulled away from the suspense and the drama. Customary to indie, some scenes were too long and several scenes weren't necessary. The mood was fluctuating and it wasn't a steady rise to climax. For awhile I thought I was back to local filmmaking in the early years of the new millennium when poverty was an overexposed subject. Well, good if you missed seeing images of our country's very third world situation but as the movie progresses, I was tired of the slums, the corruption and the crime. Call it personal preference about my bias for light and feel-good films, but you can also consider this a caution for such difficult and sometimes painful scenes to watch. Rosanna Roces, who played the boss of Aunor's charater, was amazing. Performing side by side with the Superstar in almost all scenes, the ex-superstar of titillating films did not disappoint. I was told by my partner it was too easy for Roces to be herself but I still want to praise her for such honest portrayal. Chynna Ortaleza (a sexually- abused inmate) proved that she has all the right to stay in the acting field. She added more intensity to the film and so did Sunshine Dizon who played here as Nora's daughter. On the contrary, when the others exhibited luster, Rocco Nacino wasted an opportunity probably of his entire acting career. He looked and spoke too immature to be a lawyer. Yes, he was neat and good-looking but he wasn't convincing. He pushed a force so weak for his ultra cocky character. It seemed like he was in a basketball court of NBA superstars but he was there dribbling and shooting like a junior. I loved Direk Joel Lamangan's work in "Deathrow" but I estimate that for "Hustisya", he only managed to give half the effort that he showed in that GMA film. We can let the audience mourn further on the less favorable aspects of our society -- poverty, prostitution, adultery, drug abuse, human trafficking -- but not keeping a polished material may sacrifice the relevance and significance of these topics. 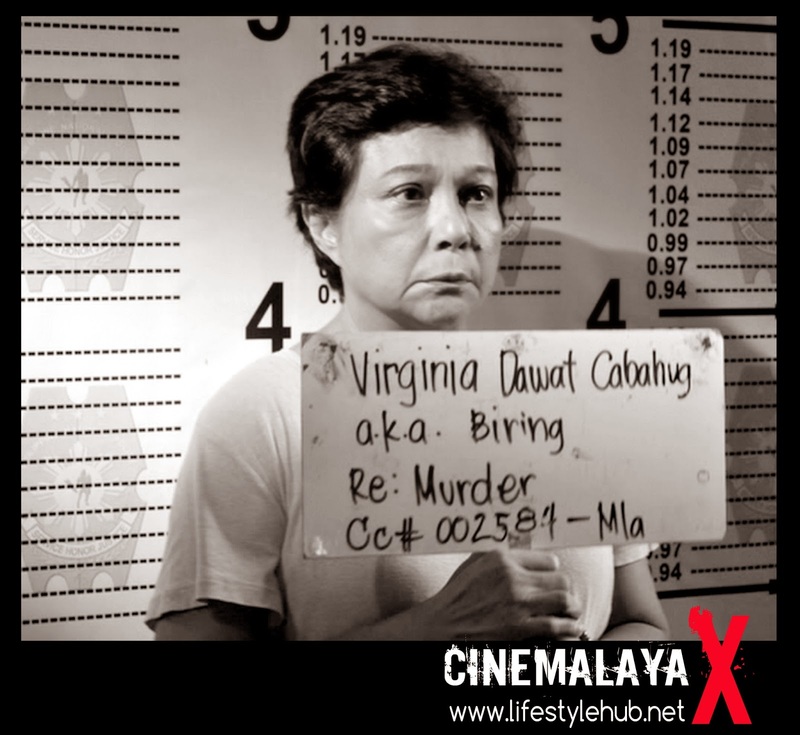 Nora Aunor is certainly Hustisya's main selling point and she was surrounded by an amazing support cast. The sheer talents of the film are making it one of the Cinemalaya entries to watch out for but I am not sure if it's a movie we'll remember as soon as the festival ends. Although I know, we will never forget Ate Guy.